A regular share account with a $5 minimum balance is required to start or maintain your membership. This account is known as your “10” account, and any additional savings accounts under your main account are numbered “11,” “12,” and so on. Share accounts earn quarterly dividends at tiered rates of interest; see the Rates page for further details. Members may also open share draft (checking) accounts. The first share draft/transaction account is called a “99” account, and a second draft account would be a “98” account. Share draft accounts are free as long as a minimum balance of $200 is maintained in your regular share (sub 10) account each day of the month AND there are at least 5 transactions in the share draft account. If your 10 account falls below $200 on any day of the month, you will be charged $5 at the end of that month. Less than 5 transactions (of any kind) in the share draft account results in a fee of $2 per month. The same rules/fees govern transaction (debit card) accounts. After 90 days of membership with no fees assessed for items returned NSF (non-sufficient funds), members are eligible for MasterMoney debit cards. A share draft account is required to receive a debit card, though you are not required to have checks (drafts). For more information about our debit cards, please click here. Each member is allowed a maximum of 3 Christmas Club accounts. Contributions can be made by payroll deduction, direct deposit, cash, or check. The annual payout occurs on November 1st. 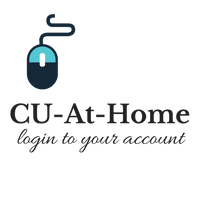 The money is deposited directly into your share draft account if you have one, and you are mailed a check if you do not have a draft account. A maximum of 1 withdrawal per Club is allowed per year (not including the annual payout). If a second withdrawal is required, the Club must close for the rest of the year, and a fee of 5% (not to exceed $10) of the amount withdrawn is assessed. Life savings insurance is provided at no cost for members up to a maximum of $3,000. Contact the Credit Union for further details. Loan protection insurance up to $20,000 is provided at no cost for working members under age 70 on all loans except home equity.